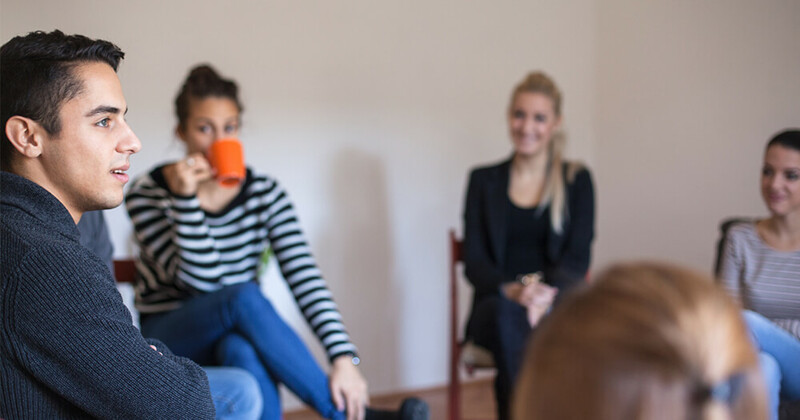 ﻿ 6 Myths About the Role of a Counsellor - Debunked! 6 Myths About Being a Counsellor... Debunked! When I was studying, there was a very typical response from people when they heard I was studying to be a therapist. Because for the layperson, the idea of listening to people’s problems all day is both demanding and all-encompassing. For some people, it even sounds depressing. For those of us who are a little sensitive and high on empathy, well-meaning loved ones can even show genuine concern. “Do you really think that’s a good idea, won’t that kind of work be too upsetting for you?”. It can leave even the most passionate counsellor-to-be second guessing their decision. But do these people have a point? Is there some valid truth behind their well-meaning concerns? The answer is yes and no. While a lot of their concern is simply fear based, when selecting a career, we often hear phrases like “it needs to be the right ‘fit’”. Why? Because the “wrong” fit somehow means that we are destined for a job or career that will make us miserable. But what exactly does this mean? I once had a client who was in her second year of a Law degree. She was studying Law because it’s what was expected of her, and when she was 10 years old she kind of liked the idea of being paid lots of money to argue with people. Because when you’re 10, you’re always right. But when you’re 20, things are obviously not that simple. She realised that among other things, she was unhappy studying Law. After some exploration, she came to the realisation that it did not “fit” with how she saw herself. She also had a burning desire to understand human behaviour and immerse herself in the world of psychology. It felt “right” being in that place and it was aligned with her values. Fast forward another 10 years and this same girl is a very well respected Academic and Clinical Psychologist. And yes, she really does love her work…. most of the time! True story. The right “fit” is really about finding your passion or interests. To do this, you need to reflect on how you see yourself, your personality and values. This may take some time, and for many of us, the answer is not waiting at the end of Year 12. That’s ok. But if becoming a counsellor or therapist IS something you are passionate about – then how do you really know if you have what it takes? By reflecting on some of the most common myths about counselling, you can rest easy and learn to filter out those well-meaning loved ones! Every counsellor works differently, combining evidence-based practice with their own personality. While the personal values and beliefs of the counsellor are separate to the counselling process – they are always there in the background, informing the counsellor. Every counsellor develops their own style which is comfortable and “fits” with who they are. Depending on the type of therapy, sometimes the counsellor may do a lot of talking. Psychoeducation, helping a client work through a process/issue, require both the counsellor and client to talk quite a bit. It’s not the role of a counsellor to advise, rather to assist the client in coming up with their own “solutions”. Options may be discussed – but not pressured. It’s much more empowering and sustainable for the client to come up with the solution, rather than the counsellor. This is a common myth, often seen in the area of substance addiction. It’s simply not true. Counsellors/therapists are highly trained. Just because they haven’t “been there” does not mean they can’t empathise, assess and support/treat. It’s like saying only a convicted criminal can be a good defence lawyer! If only we had a magic wand. The goals of counselling or therapy are developed in partnership between the counsellor and client. Often it’s not about “fixing” anything – rather helping the client to develop insight and learn the necessary skills to resolve their own issues. We’re not talking about a broken leg here (which clearly can and should be fixed! ), rather a network of complex and individual issues and needs. Implying that these can be “fixed” is completely over simplistic, and a little bit arrogant! Another common myth about counselling. Counsellors are human, and like all humans – they are imperfect and experience pain and suffering from time to time. However, psychological and emotional insight means that they are able to separate their personal life from their professional life. And as a safety clause, all counsellors/therapists have supervisors and peers that they consult with to ensure that professional boundaries are maintained at all times. So do you have what it takes to be a counsellor? In truth, it’s highly unlikely that the answer is “no”. If it interests you, if you're passionate about helping others and if you have a good idea of what’s involved and whether it “fits” with how you see yourself, then it could possibly be one of the best things you'll ever do. After all, it’s not every day that you experience the privilege of being invited into the deep and very personal lives of strangers seeking your help. Unless of course, you are a counsellor! And take it from someone who knows, it doesn’t get any more rewarding than that. Ready to formalise your counselling qualifications to help others resolve their issues and find direction in their lives? Download your free Counselling course guide via the form below.